You can't miss if are hosting a party and you play some of these relay races. These relay races are the best of the bunch! They are played with teams, usually outdoors and the fun never stops. They are great at parties or youth group activities. They involve small to large teams and can be used with even extra large groups. 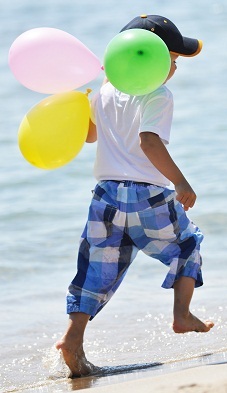 Since many of these relay races involves using a balloon, we thought it best to put a few safety tips here on the site.